Testing laboratory for petroleum products is a modern testing laboratory located within the Lubricant Blending Plant in Ruse, equipped with up-to-date testing, controlling and measuring tools. The lab was established in 1996 and received an accreditation from Bulgarian Accreditation Service in 1999. 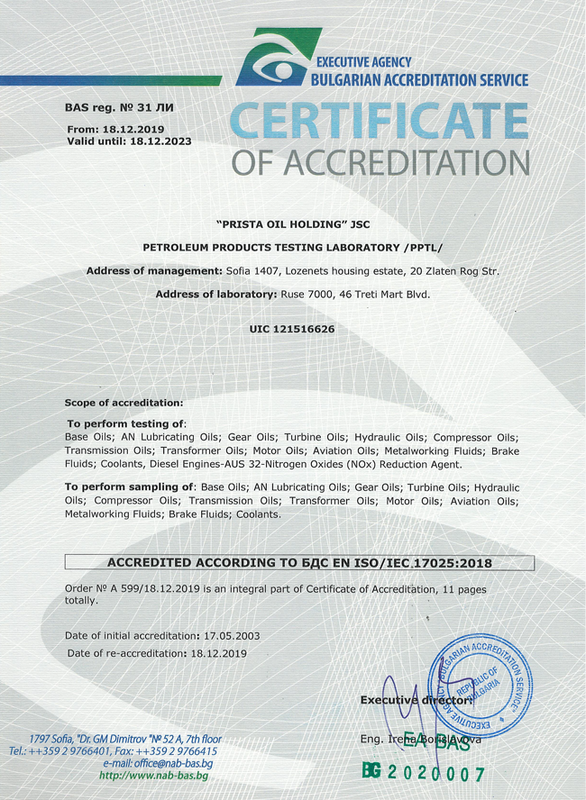 In 2003 it was accredited according to the requirements of BSS EN ISO IEC 17025 with the scope of accreditation that coved testing of the following petroleum products: mineral oils, lubricating coolants, fluids for automobiles, lubricants, diesel and heavy fuel oils, mineral turpentine and also taking of samples.